Curtiss-Wright’s Innovation Cooperative focusses on achieving Outage Excellence. Innovation initiatives often stall or struggle to get traction. The Curtiss- Wright Innovation Cooperative is a collaborative process for discovering new innovations by witnessing and analyzing existing work processes. Week-long Innovation Cooperatives typically result in six to twelve innovations that are quickly developed and implemented. An Innovation Cooperative is an agreement wherein Curtiss-Wright Innovation members meet with Plant personnel to discuss particular aspects of an outage that may be “pinch points”, areas of difficulty or concern. This initial meeting typically occurs several months prior to an outage. We encourage Plant disciplines such as reactor services, maintenance, Health Physics, and ALARA to participate in our initial meetings wherein outage activities are discussed in detail. Typically, our discussions focus on critical path and/or dose reduction opportunities. We work with our Customers within a structured process that leads to the creation of a new product or service that delivers a significant new value to our Customer. These values include: Savings in Critical Path Time, Reductions in Man-Rem Exposure, CRE Quartile Improvement and an Increase Worker Safety. Inventory data is often incomplete and inconsistent, which creates difficulty for sourcing organizations. Seer uses data analytics to identify duplicate stock in plant warehouses, improve purchasing decisions, and facilitate collective opportunities for the industry to leverage excess parts. 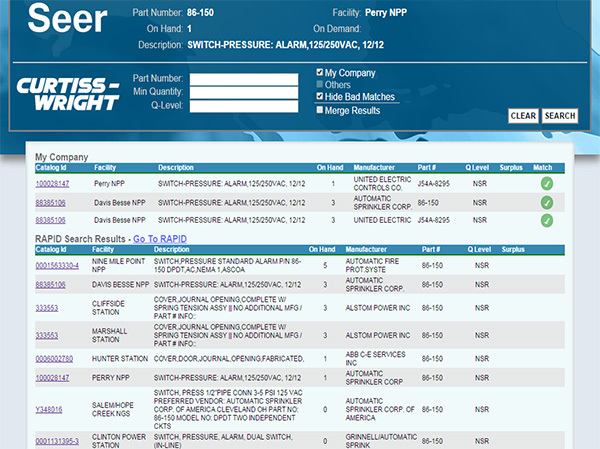 Power plants monitor and capture millions of sensor and instrument readings each day. 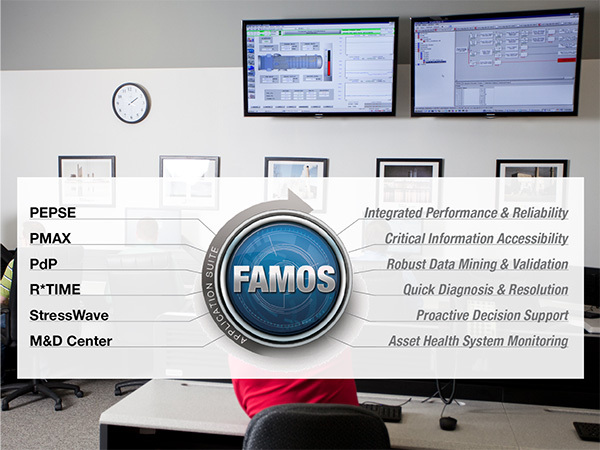 FAMOS transforms this raw data into real-time plant performance and reliability information. FAMOS uses advanced pattern recognition to predict future failures thereby providing early detection of equipment problems while using PMAX and PEPSE for thermal performance optimization. 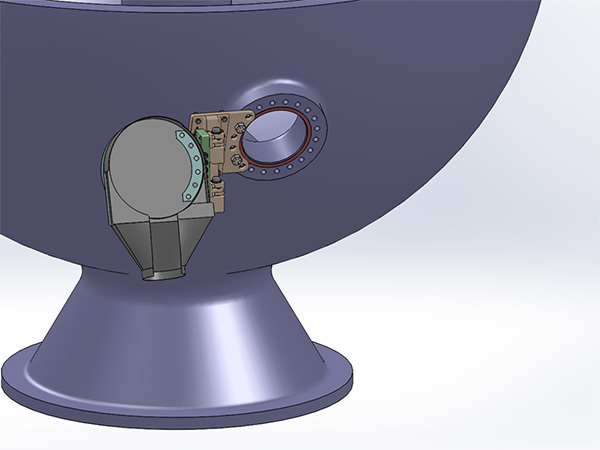 Manually installed Nozzle Dams require steam generator channel head entry in high dose radiation areas. The Zero Entry Nozzle Dam reduces critical path hours and improves worker safety by removing workers from high dose areas. Manual manway cover removal is a significant safety concern. The Vertical Hinge Manway Cover removes the manway cover safely and can be installed in the primary and secondary steam generator manways, moisture separator re-heaters, and the turbine deck. 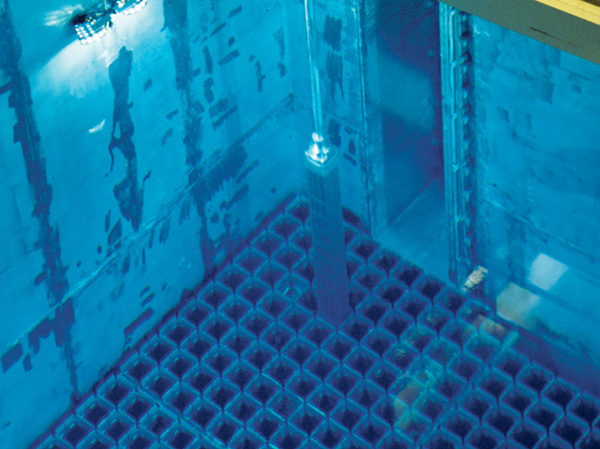 Material degradation or changes in fuel type can cause storage of spent nuclear fuel to no longer meet NRC requirements. Patented SNAP-INs replace or supplement the neutron absorbers built into the fuel storage rack in a cost-effective, NRC approved manner without affecting either storage or movement operations; bringing the spent fuel storage system back into regulatory compliance. 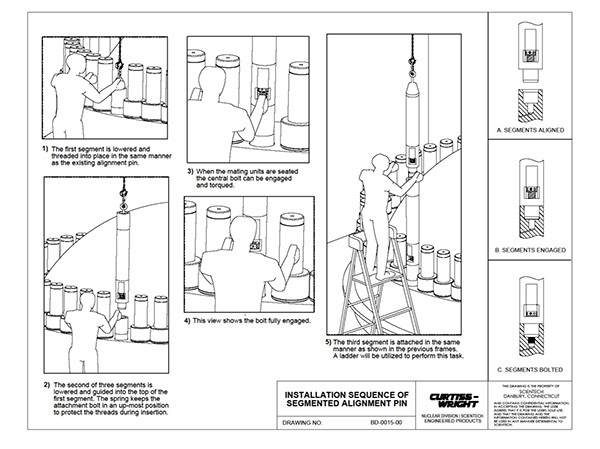 Plant workers currently use inefficient paper-based procedures and data collection forms. 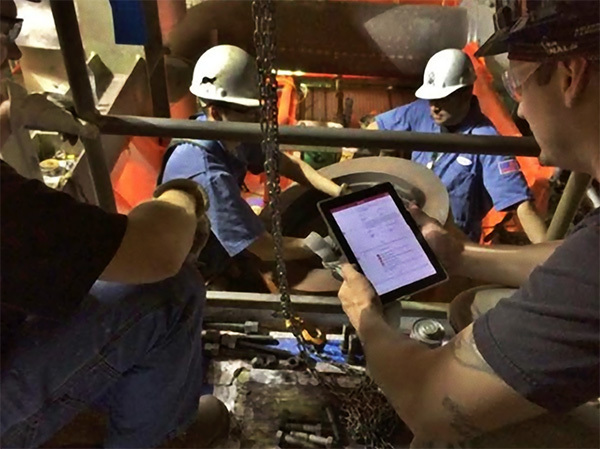 Curtiss-Wright’s Mobile Technology improves productivity, human performance, and safety by transforming paper-based processes into workflow-enabled mobile solutions. Digital safety-systems are expensive, hard to license, and vulnerable to cyber-attacks. 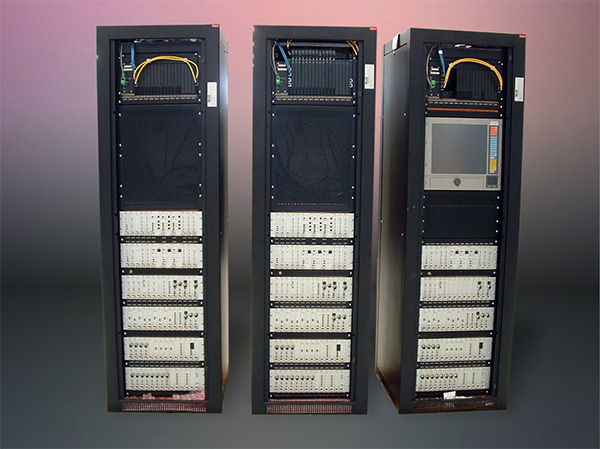 The MASS system combines an obsolescence-resistant analog control system with electrically-isolated online monitoring to provide the reliability and security of analog control with the efficiency of online monitoring. Leaking valves can degrade plant performance and erode safety margins. The patented StressWave system detects acoustic energy impulses caused by relative motion of two surfaces in order to detect leaks. StressWave reliably identifies valve performance, provide quantitative measures of valve leak magnitude, and predicts valve integrity and future performance. 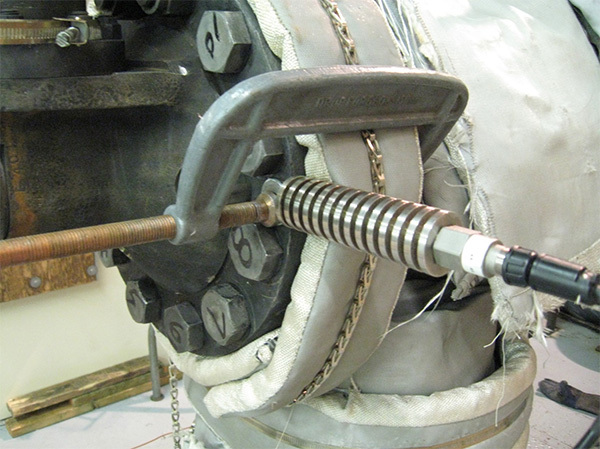 Removal and installation of the reactor pressure vessel guide pins often requires the use of the Polar crane making it unavailable to other critical path lifts. 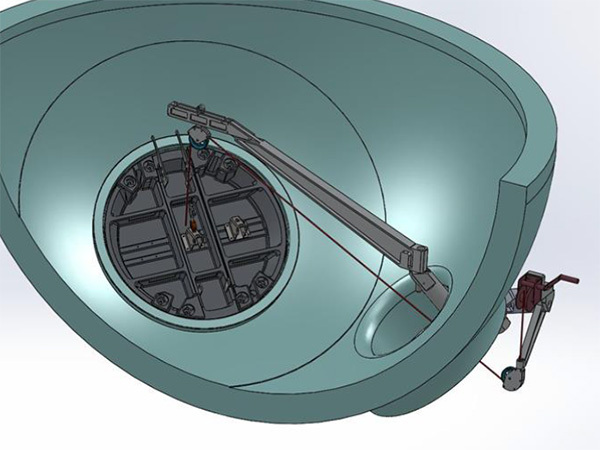 Segmented RPV Guide Pins are installed using the head package monorail hoist thus freeing up the Polar crane for other critical path lifts and saving 2 to 4 hours of critical path time.